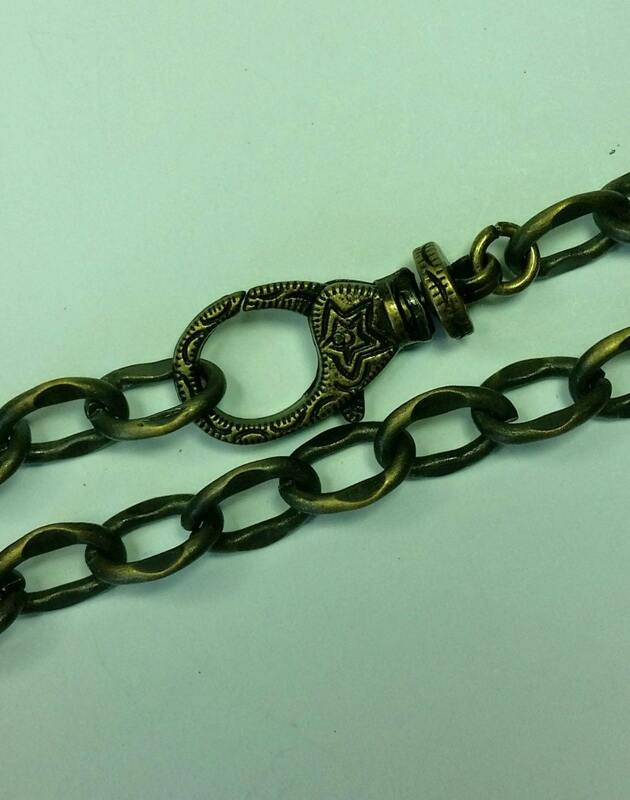 Love the matte finish on this 20.75 inch oval linked antique brass cable chain! Each link is approx. 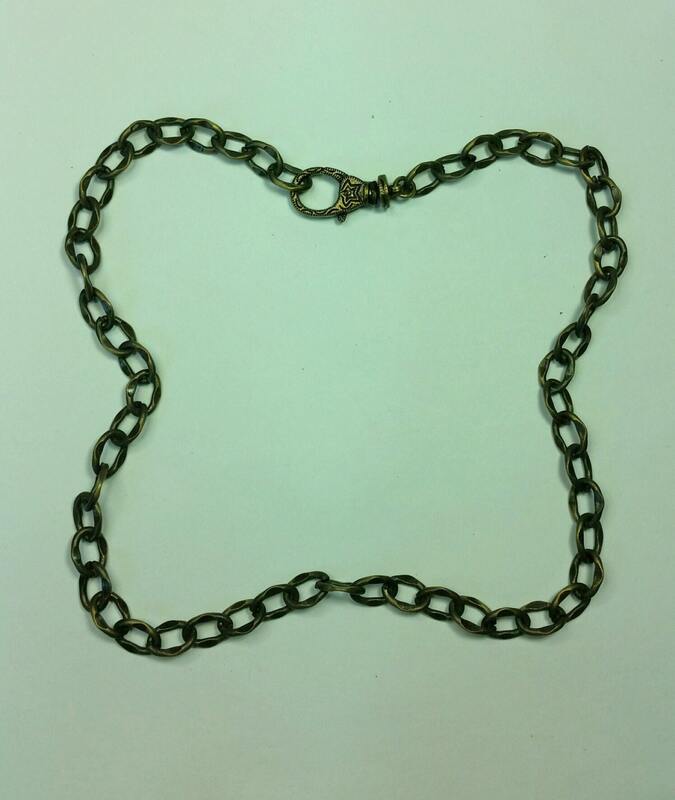 9x11 mm, and has a dimple on either side of the oval (on the long sides), adding to the attractiveness and texture of the chain. 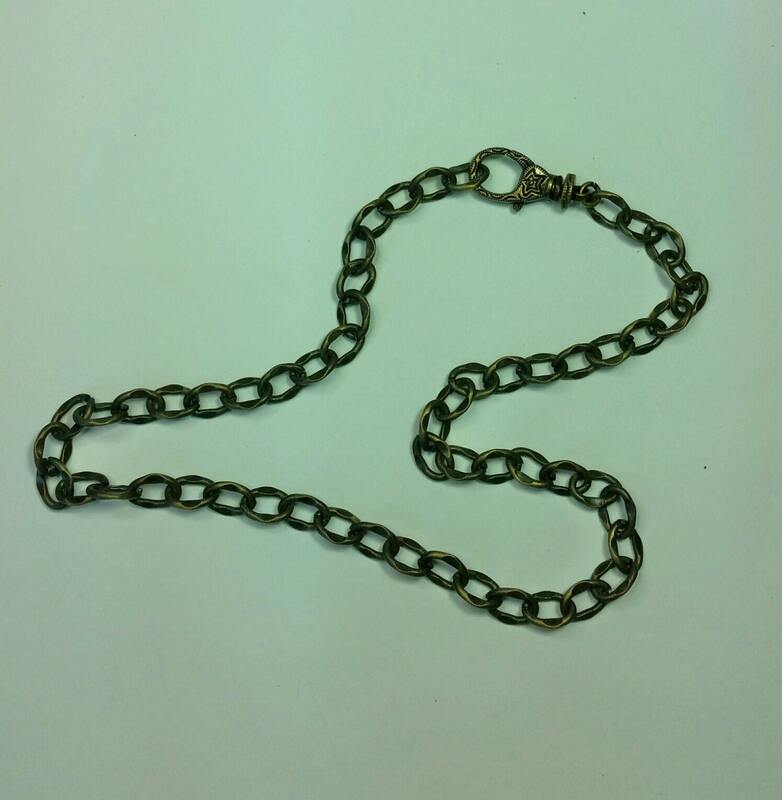 I used a large beautifully etched swivel lobster claw clasp that can be attached anywhere on the chain. 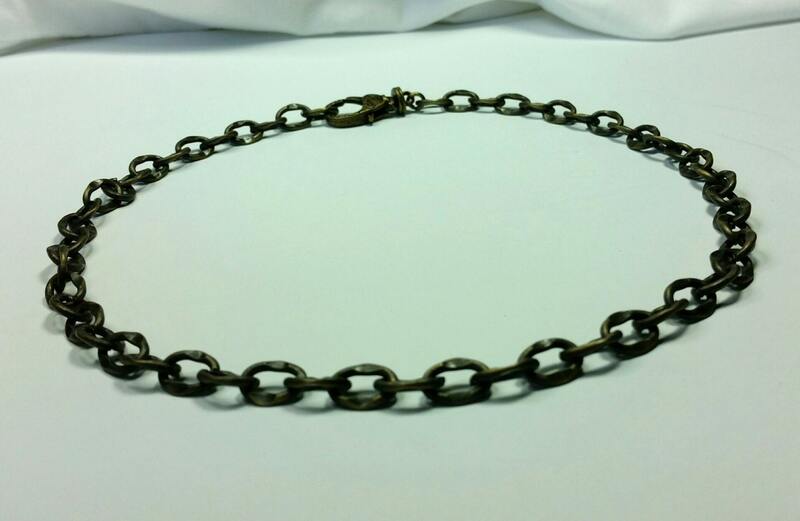 This is a unisex item, with a more masculine look, that can be worn anywhere!